Detecting threats is a large and growing space with great demand. The emergence of 5G infrastructure will open the door to new threat detection technologies that will become commonplace wherever desired. 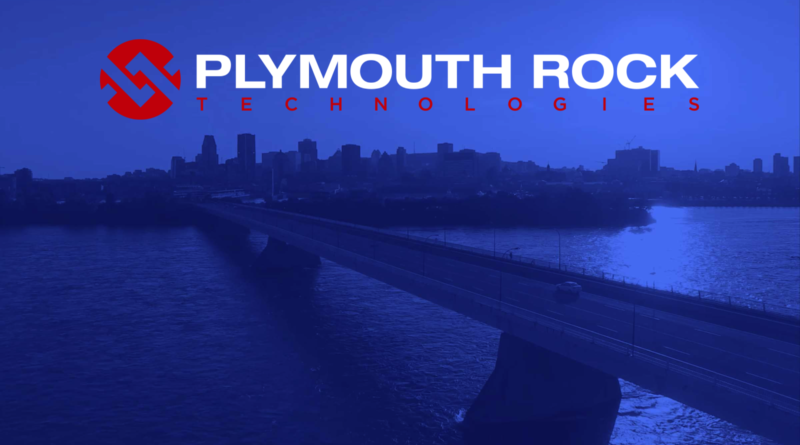 Plymouth Rock Technologies has assembled a team with decades of combined experience in technologies relevant to 5G networks and threat detection. The technology can be a great add-on for the various other systems (referred to as a “system of systems”). If commercialized at an economic price point, this technology could be a mainstay wherever unstructured crowds have any risk or threat (schools, theatres, concerts, etc). Security has become an ever increasing focus in today’s day and age. In particular, unstructured crowds present a unique obstacle that until now has been difficult to manage. Plymouth Rock Technologies (CSE: PRT) has set out to tackle this issue head on by providing simplistic solutions to the common threat presented in these scenarios. Unstructured crowds surround us every day – think shopping malls, sporting events, and subway stations – ensuring a safe environment for patrons is paramount in the world today. While CCTV security systems are the current norm for tackling this threat, it can only go as far as the quality of the camera allows. These systems are also limiting in that they require constant monitoring by an end user. In the typical scenario, one or two guards are assigned to a desk with multiple monitors displaying countless CCTV camera angles throughout a facility. This setup becomes increasingly ineffective, as the attention span that each monitor receives is a fraction of each guards time, thereby reducing the chance of identifying something notable. This results in an expensive system being ineffective at its sole purpose – reducing and eliminating threats to both the facility as well as clientele. To combat these inefficiencies, Plymouth Rock is working on two key technologies to eliminate threats in unstructured crowds. In addition, they are also developing technology to help combat security concerns in structured crowds, with the focus to eliminate the duration for which these crowds are structured. Combined, these products will offer a suite of solutions for the common facility that will work together to minimize security threats and provide safe enjoyment for patrons. There are currently three products under development by the team at Plymouth Rock. The first two, known as MIRIAD and Wi-Ti, are focused on the scanning of unstructured crowds for potential threats. Utilized separately or in conjunction, they work to identify threats before they arrive at security screening points as an extra line of defense for measures already in place. MIRIAD – Short for Millimeter Radar Imaging from Airborne Drone, the device is a lightweight sensor payload that utilizes millimeter wave technology to scan for potential threats. Equipped with high tech imagery and AI, the sensors are able to identify objects on a person that may pose a threat – such as knives, guns, or explosive vests – and then relay that information to ground operators. The payload is designed to be carried by both commercial and military drones to maximize potential applications. In addition to weapons detection, the technology is also effective at performing assessments on a number of objects thanks to the wavelength it operates at. For instance, it is able to detect structural deficiencies in materials such as concrete or steel, thus is effective at performing inspections of critical infrastructure such as bridges and pipelines. Wi-Ti – Slang for wireless threat intelligence, this technology is being developed to piggyback off wireless networks – a common platform at most facilities. 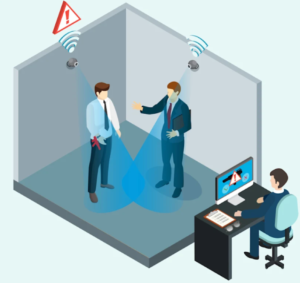 By analyzing the reflections of WiFi signals as they bounce off objects, this technology is able to identify potential threats within a given area through AI, similar to that of the MIRIAD technology. The key difference between these two platforms, is that Wi-Ti can be utilized on top of existing infrastructure. This innovative technology works with currently in-place wifi networks to provide addition security to a facility – all without causing interference or reducing signal strength on the network. The technology is ideal for unstructured crowds that exist in common gathering locales, such as shopping malls or subway stations. The technology constantly analyzes the signal reflections, and then returns the data to an operator who can then act on the threat. The system is entirely passive, requires minimal disturbance to existing facility infrastructure, and is usable with any existing wifi network. In both of these instances, Plymouth Rock is utilizing millimeter wave technology as a form of RADAR to scan an area for potential threats. If you’re unfamiliar with what millimeter wave technology is, an easy comparison to make is to that of safety systems that come standard in most vehicles such as lane-departure warnings, or the parking sensors located on the front and back bumper of a vehicle. In fact, members of management at Plymouth Rock actually had a hand in developing some of the first technology used for such automotive purposes. Dana Wheeler, CEO of Plymouth Rock, spent a number of years at Radio Physics,wherein he was part of the team that developed this early tech, which is now commonplace in new vehicles. Lastly, Plymouth Rock Technologies has a third product currently in development to round out its offerings. Shoe Scanners – To address structured crowds, such as those that gather at security checkpoints for airports and sporting events, Plymouth Rock is looking to address another underserved market – shoe scanners. Technology currently used for this application is lacking in two areas – effectiveness, as well as price. Plymouth Rock is looking to address both of these issues head on. 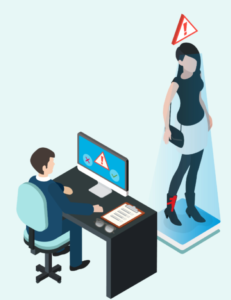 For the former, the tech currently under development is able to analyze the very structure of shoes to identify whether or not they have been tampered with – without the shoe being removed from its person, thereby reducing screening time. It’ll be able to identify if someone has sliced into the sole of the shoe to hide a small weapon or other object. For the latter, the company is focused on reducing cost so that the product is available for municipal use in locales such as schools, jails, and arenas. Dana Wheeler – CEO, President & Director Known as the founder of Radio Physics, Dana Wheeler is an industry veteran with other thirty five years of history working in the field of millimeter, RF, and microwave technologies. He has a successful track record as an entrepreneur in the space, in addition to working at firms among the likes of Lockheed Martin, Millitech, and M/A-Com. Carl Cagliarini – Chief Strategy Officer, Co-Founder An expert in the field of business strategy for security firms, Carl hails from the early team at Radio Physics, for which he also assisted in developing business strategy. As a co-founder of PRT, Cole is focused on pushing the firm forward with focus. His education includes technology innovation at Manchester Metropolitan, as well as the University of Liverpool. David Russell – SVP Engineering Operations David has a history of working in the field of product development for millimeter technology. Hailing from Harmonix and then Radio Physics, his experience largely consists of network architecture and product engineering. Stuart Harmer – Scientific Advisory, Co-Founder As co-founder of Plymouth Rock, Stuart is well versed in the field of millimeter wave technologies as well as weapons identification – he holds some twenty patents in the field. In addition to his work with PRT, he teaches at the university of Chichester in the United Kingdom, in a number of related fields. Stuart has a PHD in the field of physics in addition to being a Fellow of the Institute of Physics..
Douglas Smith – Director & Advisory Board As a key member of the advisory board, Douglas Smith has a storied history working for several US Government agencies, including the Department of Homeland Security and the Secret Service, for which he remains on an electronic crimes task force. Currently the CEO and founder of I3 Ops, he has experience in utilizing artificial intelligence to identify threats through the use of public data. Jason Elwood – Advisory Board Most recently serving as VP of Operations for Raytheon, Jason brings 37 years of sector experience to the table. He has served in roles that include overseeing product manufacturing, operational excellence, and cost reduction of products to maximize affordability. The equity structure of Plymouth Rock Technologies is one of the most straight forward that we have seen. There’s little room for confusion, and it consists of a tight float that enables it to move quick on any positive news. Rather than attempting to get rich off the backs of shareholders, management has elected to issue very little compensation in the form of options, and with minimal capital requirements, the firm has not been bogged down by an endless count of warrants. As it currently stands, Plymouth Rock has a total of 31,761,300 shares outstanding – of which it is believed management owns roughly 5%, or 1,607,500 shares. In total, there are 4,162,275 warrants and 2,425,000 options outstanding, of which the majority fall in the $0.40 – $0.60 price range. There are currently just under six hundred thousand warrants that remain outstanding with a $0.10 exercise price, however they shouldn’t be any issue once some volume comes into the equity. Fully diluted, the company has a total share count of 38,848,575. Overall, Plymouth Rock has a tight share structure that should be able to move quickly once the equity becomes better known within the industry. To summarize, Plymouth Rock Technologies is a security and technology firm that remains in its infancy, comparable to that of an equity such as Patriot One Technology – with whom the firm happens to have excellent relations. With three products currently in development for the growing industry, it presents an opportunity to get ahead of the pack in terms of market capitalization. Although products are roughly a year from commercialization, the firm is developing technology that has yet to be introduced to the public, at an anticipated price that will make the tech attainable to many end users.